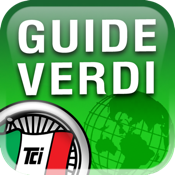 The application to download free titles or to purchase, turned in-app purchase, guides of the series and to gather and consult your guides. •Activate the download/purchase process in-app purchase, the shelf in the "Store" to tap on the cover / icon title. •Manage your collection from the "My Library". Titles downloaded/purchased are on your "shelf", you can consult or remove them.